Coming into the match the Woods had won the last five encounters between the sides at Balhannah Oval. The Woods made five changes from Round 1 with Jak Baldissera, James Hopton, Brad Jones, River Moore and Chris Williams replacing Scott Bricknell, Jacob Broad, Nathanael Dudley, Tom Gallaway and Nick Homburg. The Bulldogs made a quick starting kicking the opening three goals. With the Dogs winning the ball around the midfield early, they were able to get multiple forward entries in the opening period of the term to see Ethan Lynch, Mitchell Coccioline and Jake Adcock all kick majors. The Woods finally hit the scoreboard in the 14th minute through Rhys Sporn. Using his pace he was able to break free from his defender to kick the first major for the Woods. For the next 10 mintues, the Woods were able to get repeat entries into the forward 50 and apply some pressure to the Dogs defenders. Some nice tight work in the club room pocket from Jacob McCarthy saw Daniel Benson hit up in the 18th minute for the Woods second major. When Matt Tuck kicked the Woods third major in the 21st minute the Woods had hit the lead. Both coaches urged their players to take the game on at the first break. 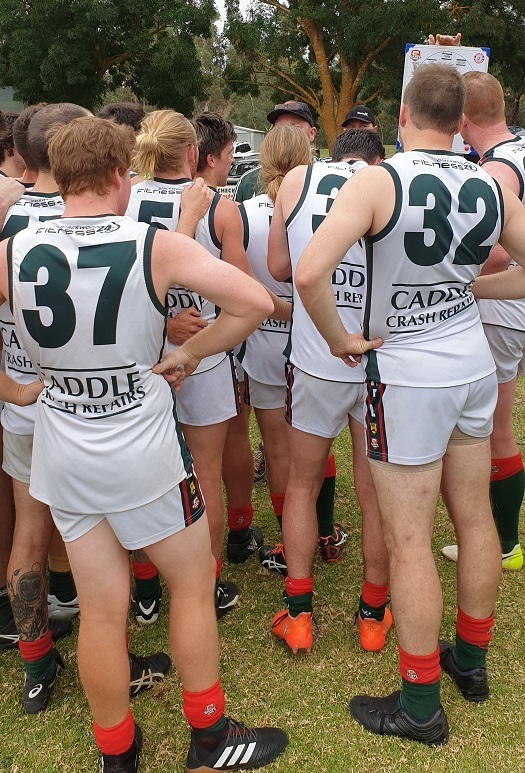 Anderson stated his side needed to show something in the first half of the quarter whilst Onkaparinga Valley coach Paul Tanner suggested his side had made a good start but gone away from their game style in the second half of the quarter. The Woods made a quick start in the second term with goals to Martin Thompson and Phil Hopton within the first five minutes. Getting on top around the midfield with Jan Warbout getting first hand on the ball, Blackwood was able to trap the ball inside the forward half but were unable to apply scoreboard pressure through goals. In the 13th minute the Bulldogs got a goal back through full forward Jake Adcock. It was a tough second quarter with both sides applying tremendous pressure to the ball carrier. At half time the Woods had extended their lead 13 point but could have been further in front having 13 scoring shots to 5. The third quarter starting much like the second with the Woods kicking the opening goals of the term. Full-forward Jake Atkinson got his first goal of the match through a strong mark about 15 metres out in the second minute. When he kicked his second in the seventh minute the Woods had extended their lead to four goals. Dominating the early part of the term the Woods could’ve extended their further having multiple inside 50s but not registering a major. The Bulldogs clawed their way back into the match with three goals through Bruce Kain, Ben Jefferies and Joe Beilby in the middle part of the term. Atkinson got his third goal in the 19th minute after a big tackle from Jacob McCarthy which resulted in a turn over. Another major to the Dogs from Andy Vines saw the home side pull the margin back to eight points at the final break. Anderson asked his players to find an extra gear in the last quarter with the game on the line. Winning the ball out the centre the Woods scored majors through Thompson, Liam McCarthy and Atkinson in the first 10 minutes. 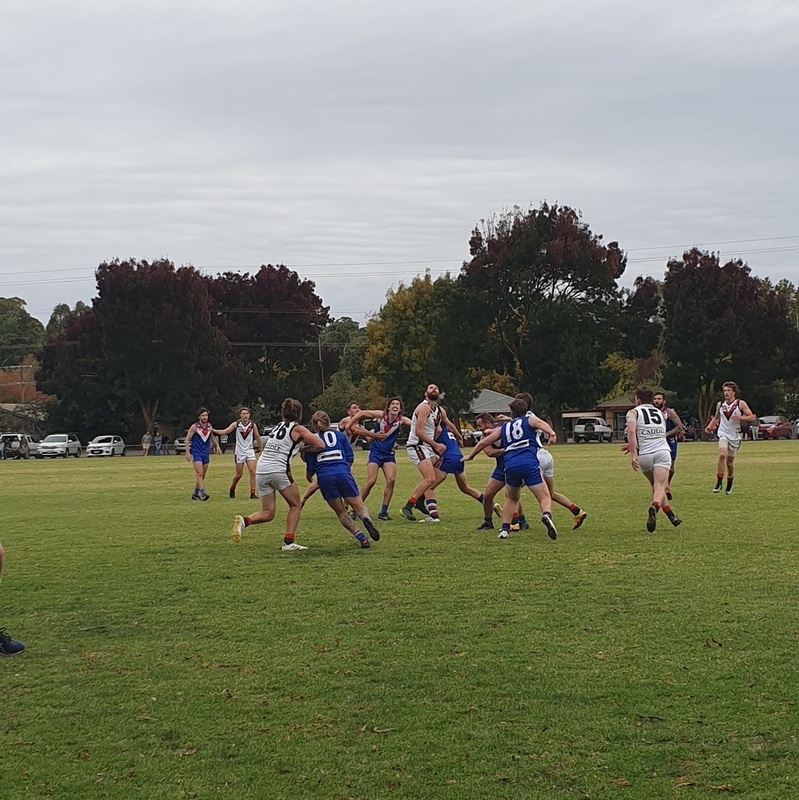 Two goals to Onkaparinga Valley pulled the margin back late before the final siren sounded with the Woods recording a 22 point victory, their six straight victory at Balhannah Oval and second in 2019. Kurt Thompson was named best player for the Woods for dominance across the half back line taking multiple intercepting marks with Jake Atkinson, Phil Hopton, Nathan Dunn and Bailey Badcoe also featuring in the better players.